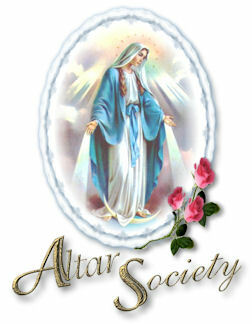 The Altar Society was established in 1981 at St. Patrick’s Catholic Church.. Ann Ioppini was the first president and served for two years. Ann Loogman was president for the next 16 years. Linda Lima is the current president. To provide fresh flowers on Altar weekly and to decorate the Altar on special Occasions (Christmas and Easter). Every 3-4 months, two members are scheduled weekly to order flowers, polish/dust Altar, clean Holy Water Fonts and clean candle sticks etc. It could take up to 2 hours to do the above Altar Society duties. However, if members prefer not to be scheduled, they can support the Altar Society in other ways, such as bake for the Bake Sales, help set up for fundraisers, or just be a member. Also, members can help with decorating the church for Christmas and Easter. The St. Patrick's Altar Society has 2-3 fundraisers a year. Our biggest fundraiser is our annual pancake breakfast on Palm Sunday. We also have our bake sales which are scheduled in the Spring and Fall! Only one annual meeting is scheduled to discuss the year’s activities and also disburse the years Flower Schedule. Please contact Linda Lima at 209-838-8555 for any questions about joining!